Jurisdiction and applicable law in matters of filiation and personal relationships between parents and children. In Italy, when the child or one or both parents are foreign nationals, some doubt may arise about the jurisdiction and the applicable law in matters of filiations. For example, when a Canadian mother, on behalf of her minor child, asks for a judicial declaration of paternity against an Italian citizen, what is the applicable law? Or, if a US citizen intends to ask for the denial of paternity against the Italian child, what is the applicable law? In order to overcome these problems, the Italian Law no. 218/1995 (International private Law) provides several principles about the jurisdiction and the applicable law in matters of filiation. First of all, the status of child is determined by the national law of the child or, if better, by the law of the State of which one parent is a citizen at the time of birth. The law thus identified, will govern the conditions and the effects of the ascertainment or denial of the status of child; if the law so identified does not allow the ascertainment or denial of the status of the child, the Italian law will apply. The conditions for the recognition of the child shall be governed by the national law of the child at birth, or if better, the national law of the person who does the recognition, when the recognition takes place; if such laws do not provide for the recognition, Italian law will apply. The personal and property relations between parents and children, including parental responsibility, are governed by the national law of the child. c) gives the court the power to adopt measures limiting of parental responsibility in the presence of prejudicial acts against the child. About the jurisdiction in matters of filiation and personal relationships between parents and children, the Italian jurisdiction exists, more than the cases provided by arrticles 3 and 9 of Law 218/1995, even when one of the parents or the child is an Italian citizen or resides in Italy. 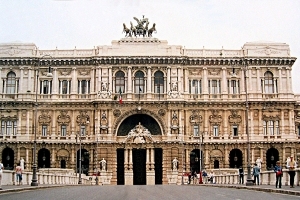 If you need legal help, don't hesitate to contact us (click here Lawyers in Italy).